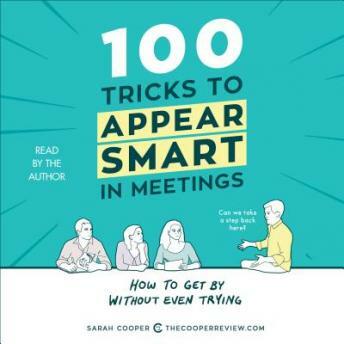 Listen to "100 Tricks to Appear Smart in Meetings: How to Get By Without Even Trying" on your iOS and Android device. Complete with examples, and scenarios, 100 Tricks gives you actionable ways to use words like “actionable,” in order to sound smart. Every type of meeting is covered, from general meetings where you stopped paying attention almost immediately, to one-on-one meetings you zoned out on, to impromptu meetings you were painfully subjected to at the last minute. It’s all here. -How to nail the big meeting by pacing and nodding. -Most effective ways to listen to your coworkers while still completely ignoring them.